Doomsday Book features a trio of tales regarding the end of the world. 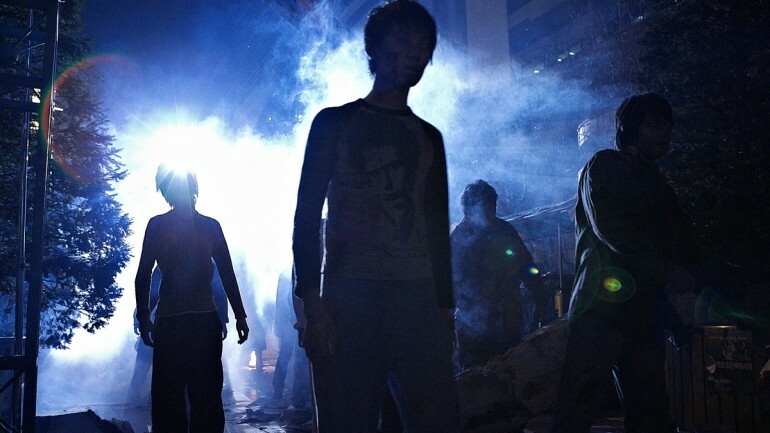 While the apocalyptic turmoils are not new (zombie outbreak, asteroid impact, and robot uprising) the way this film goes about telling them might be. 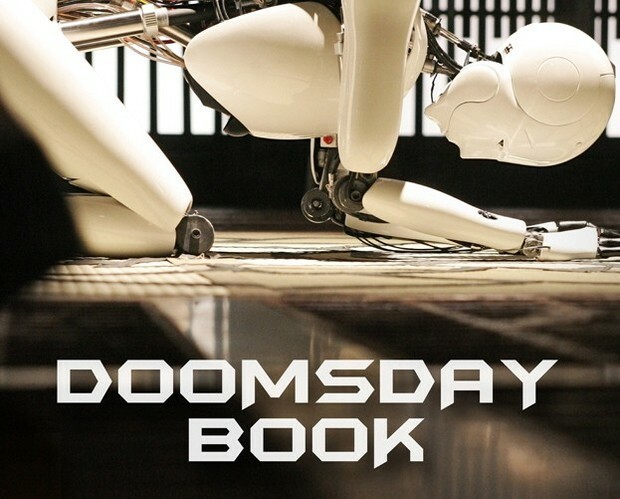 Doomsday Book is an anthology of three short films or chapters. None of them relate to each other short of the fact that each deals with end of the world scenarios. “A Brave New World” kicks off the trifecta with a zombie outbreak brought on by tainted beef a la mad cow disease gone bonkers. I found this segment of the film to be rather annoying at times. From the characters to the editing and the way the story was told, many of the aspects of the segment made it hard for me to really get involved with the film and enjoy it. What saved this piece for me were the little bits of humour and the fact that while it’s a zombie film on the surface, under the skin it’s actually a romance. The second chapter is “The Heavenly Creature” which is a very “enlightening” piece of filmmaking. It is a common subject that when robots, or in this case a particular robot, become self-aware, humans get a little frightened. This is especially true when technology invades the world of religion as a robot janitor at a monastery finds religion, becomes enlightened, and eventually is believed to be Buddha. The Heavenly Creature is the prettiest looking of the three chapters and possibly the smartest as it deals with the moral complications revolving around robotics (similar to when Data from Star Trek The Next Generation had to prove he was “alive”). But what I enjoyed most about The Heavenly Creature was the robot itself. Through the use of puppetry, physical FX and clever camera angles, this robot is brought to life in an almost magical fashion. The final chapter is entitled “Happy Birthday” and has the weirdest take on the end of the world via asteroid story I’ve ever seen, read or heard about. Played as a comedy, this film uses loose concepts of black holes, multi-dimensions, and how signals from technologies such as computers, the internet and cellphones could somehow merge to allow communication with far off places… as in alien worlds. To say anymore would ruin the surprise but it’s this surprise that makes this chapter so funny. Doomsday Book may not be everyone’s cup of tea. Anthology films aren’t for everybody and are often not very good. Sometimes you can pick one or two parts that are worthwhile but rarely is the entirety of the film truly enjoyable. With Doomsday Book, “The Heavenly Creature” is clearly the best of the three chapters and stands well on its own but when combined with the other two chapters forms an apocalyptic telling like no other. There’s something to be said about coming at already established topics from different angles. Sometimes it works, and other times it doesn’t. With Doomsday Book, all three “films,” while completely different, work on some level. It’s this combined diversity that makes the film as a whole, much better than its individual parts.